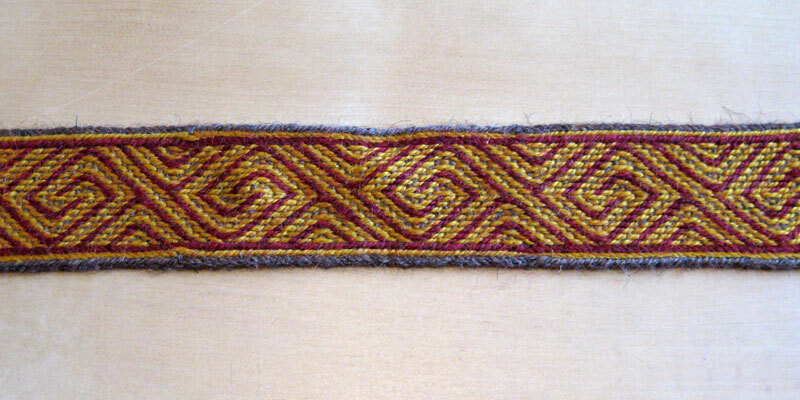 This page is a way for me to document my experiments with tablet weaving. I’m fascinated with patterns and would like to see what diffence different colours and materials do to the same pattern. Below you’ll see pictures of my progress as well as a small documentation with each piece mainly to illustrate the pattern, coulors and materials used. My first experiment with the pattern using red a the pattern thread. My second attempt show quite a different effect. This is a very beautiful pattern and works in both combinations. I’m eager to see further results of this experiment. Sorry, no patterns that I know of. They can still be bought new here in Sweden but they are pretty expensive. Hi! I don’t know if you will ever see this since this blog is no longer active, but I got a question for the https://stolte.files.wordpress.com/2009/02/weavingexp_no2.pdf pattern. I’m pretty new to this, and I don’t understand the Turning Pattern. How exactly you turned it. Would love it if you could answer that! Those patterns are beautiful. The black & white blocks doesn’t include the tablets on each boarder. 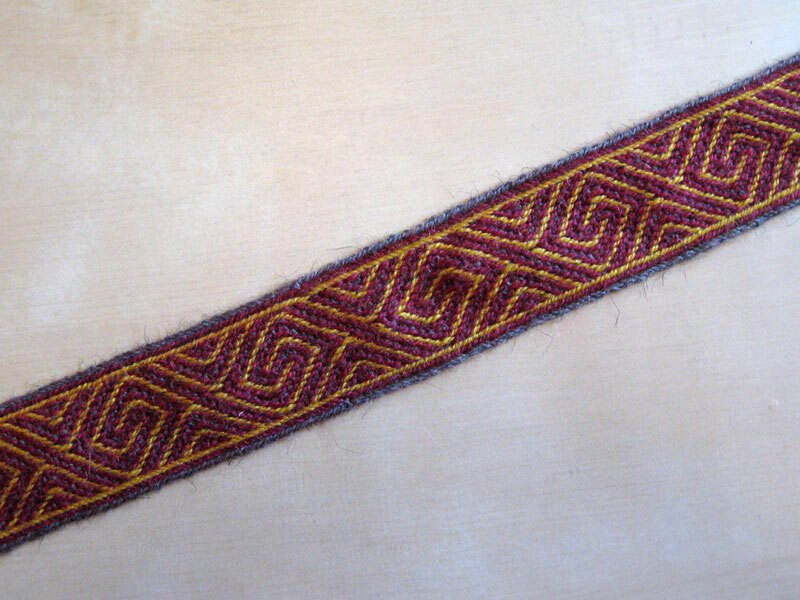 On ribbon no 1 the borders consist of three tablets, each threaded with just one colour, grey, yellow and red. These tablets are just continuesly turned in one direction. The 8 blocks represents the 8 pairs of tablets in the middle that needs to be turned in different directions to make up the pattern. Hopes this helps!